Curran, who produced a man-of-the-match performance in only his second Test -- against India at Edgbaston last year, has been making rapid strides since then. KXIP paid a hefty Rs 7.2 crore for his services this season and he repaid the faith by taking a hat-trick against Delhi Capitals. "My first IPL and it has been a very good experience so far, playing in Indian conditions and in front of massive crowds. There is so much to learn from established names and even the ones who have not played international cricket," Curran told PTI. In the KXIP set-up, he is enjoying discussing the game with the likes of skipper R Ashwin and opener K L Rahul, but is learning most from India's swing specialist Shami, who is at the top his game. "I spoke to a few guys (from the England team) before coming here and they were clear about how good the tournament was and I can see for myself that the standard is very high. "I am getting to pick the brains of Shami. 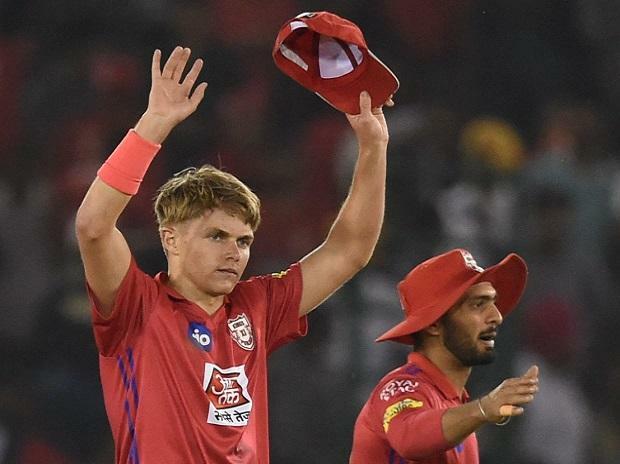 He is obviously a top class bowler and I am learning lots from him, especially how to bowl in Indian conditions and I am sure I will be an improved bowler at the end of the tournament," said the son of former Zimbabwe all-rounder Kevin Curran and younger brother of England pacer Tom Curran. Curran hails from a cricketing family which, he says, doesn't put him under intense pressure. "There is no specific goal (that my family wants me to achieve). They just tell me to enjoy my cricket, take one game at a time." "It was a great moment. At that time I was not focussed on the hat-trick, I was focussed on defending the runs for the team. Luckily I was able to do that day and hat-trick was just a bonus," he said it nonchalantly. "I don't need to worry about that (price tag), I just got to keep performing and take one game a time. I am really enjoying playing in India. The crowd gives you so much energy here, they really enjoy the game and that brings out the best out of players." "It is the greatest tournament and hopefully my name will be there," Curran added.